Congratulations to the winners of the 2017 VCAs! PixelBlended Seasonal Anime Reviews are back! [Brand New] AMVtool - One software for encoding & recontainering! Congratulations to all the winners of the 2017 Viewers' Choice Awards! The full list of winner and finalists can be found here. Who knew the "Merc with a Mouth" could sing?! Check out this fan-made musical mashup of “Deadpool” and “Beauty & the Beast” featuring Wade’s own NSFW, mature-audiences version of the classic song “Gaston” from the original musical! (If you like it, please share it! By popular demand. This also kinda ended up being a big conglomerate of my current interests. Super fun to edit, but very challenging. We celebrate the best in AMVs from the last year, with our look at the Winners of the AnimeMusicVideos.org Viewer's Choice Awards, tonight on Fandom Paradise LIVE! Last edited by shorisquared on Mon Apr 24, 2017 12:17 pm, edited 4 times in total. Last month I solicited answers to a few questions regarding online IC contests like AMV Roulette and Soul's Team IC. Below are a small selection but I encourage you all to read the full discussion here. 1. How would you describe your method of making a full AMV in 3-7 days? Of course it helps to have some sort of theme or concept in mind before the contests starts. Clipping all the shows I download is also something I've been trying to do. Have a separate project file for each show with all the useful clips in it. It makes ICs, and even editing in general, so much faster. Saves hours of scrubbing footage. Honestly, my method for making a video in such a short time, and I'm talking even 2 hours (since that's the IC type I usually take part in), is basically the same as any other time. I start with my audio source and come up with an idea and run with it. More often then not I'll use the source's story to help make something coherent. The deadline just helps focus me really. More often then not I'll treat a non-IC competition like it's an IC with a short deadline. 2. Are there specific online IC styled contests you usually join? 3. If you edit AMVs outside of these online contests, how does your approach editing change given the time and theme/source constraints? If I were able to do a video in difficult conditions (an IC) I can make it with a lot of time given, different to a time-limited event. So it's a kind of encouragement for me, since you dont know your audio source in the first place, and that's the main problem many people came with during an IC. 'Inspiration comes faster if I know my anime and my audio' This is true but during the making of the video you might experience some problems as you might lose motivation or you liked better another idea that came after. In an IC you first dont know if you can use certain audio, or certain anime. However, if you have an idea it might has a chance. So why not trying? 4. How long has it been since you've seen your family or the sun? Or how do you manage your other activities during editing crunch time? 5. Are your ideas generally spurred by the source restrictions or do you go into the contest with a basic idea of what you would like to make? For me, it's a little bit of both. Sometimes, the source restrictions can help me focus on what idea I should make. Other times, it's what takes up most of my editing time just to think of an idea. Honestly, when I go into a contest and they give me a theme/restriction, I'll think back to all the AMV ideas I haven't done yet that would fit the theme. It's like "oh yeah, I've had this idea for years and had no real reason to make it until this specific theme came up in this contest. Guess I better do it now!". Sometimes, it takes an IC styled contest to get a few of my ideas finally made. 6. Are there source styles (music or visual) that you tend to gravitate to? Why or why not? I prefer working with older footage usually. Sources I know like the back of my hand. Sources that are really good looking and easy to work with. In the end if I know the source really well it's really easy to scrub, find clips, and place them where I want them. Music, something with a good beat that I can get some good external and internal sync going. 7. Is there anything else you would like to say about these contests, their communities, and the videos that come out of them? This generation is crazy talented. Videos made in 3-7 days are now on par with projects people spend months on. And the online community, honestly, is so active and inspiring. They're really fun AND Y'ALL SHOULD GIVE EM A TRY!!! YOU'LL GO THRO A LOT OF STRESS AND HELL IN A WEEKEND/WEEK BUT YOU'LL HAVE FUN!!!! We have made tremendous progress on the AMV Documentary Project. Not only were we able to film nine interviews and lots of AMV events at Sakura-Con, but we have also received interviews and footage from Texas, California, Russia, France, Egypt, the Netherlands, and just yesterday, South Africa. Our next objective is filming MomoCon, and in particular, two editors by the names of l33tmeatwad and pwcagal272. Just yesterday, StarTrinity009 sent a camera and equipment to both of them in order to improve production quality for their segment. We look forward to seeing all of the great footage that comes out of this and thank them for their generous commitment. 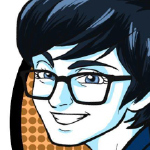 We would also like to thank kireblue and the rest of his staff for agreeing to help film during Momocon's AMV events. We are still looking for more volunteers: videographers, interviewees, musicians, designers, and more. We also have a spot open for another associate producer. If you have any skills you want to contribute, please message MinetChan or StarTrinity009. We also have an immediate need for more videographers interested in covering this year’s Anime Expo. Please contact us ASAP if you would like to volunteer for this task! As a final note, we would like to reveal the title of our main documentary video (which will take precedence over community spotlights and other topic videos). Starting today we will be accepting submissions for a title and logo design for the main documentary video. Please read more about entering here or follow below for more information. 3. Submitted as a high resolution .pdf with 300 dpi or higher. Specifications: Logo designs are highly advised to be sent to us in two versions: 1) which includes the main title “Synced Together: AMVs & Their Editors” and 2) which doesn’t include any title, so it can be used for a variety of different videos. Individuals who send in two versions will be given a higher priority. Professional: This logo will be used throughout the AMV Documentary Series. It may also be featured on our website, our social media platforms, and other mediums. As a result, while we want the logo to be eye-catching, it must still be legible. Theme: Logos must promote the international AMV community and communicate “AMV Documentary Series” without the use of a title. Designs should be universal in theme, and not nation specific. Think iconic editing, videography, and anime imagery. Get creative! Color: There are no limitations, and any colors may be used. Depending on how we use these designs, we may ask for future changes to our winner's design(s) in terms of color and level of complexity. Integrity: Logos cannot contain copyrighted or trademarked material. Logos must be original and created by the contestant(s). Logos may not include images or licensed images that have been previously published. Logos must be easily reproducible and scalable for large and small formatting. Winners will be selected by the AMV Documentary Series Committee comprised of the director and producers of the project. Contestants agree that we may publish their logo and name(s) and may use both for advertising campaigns and/or marketing materials in the future. Contestants assign all ownership rights, including all intellectual property rights to the logo, to the AMV Documentary Series Committee. Additionally, the AMV Documentary Series Committee may alter, modify, or revise the logo as it sees necessary to achieve the goals of the project. The AMV Documentary Series Committee reserves the right to not select a winner if, in its sole discretion, no suitable entries are received. In the event that there is no winner, awards for the top three logo designs will still be sent out to the contestants, except for the credited title "Logo Designer." A 1st, 2nd, and 3rd place may be awarded depending upon the number of contestants. These prizes will be shipped out between 2-3 weeks after the winners have been announced. Last edited by MinetChan on Sun Apr 23, 2017 4:26 pm, edited 1 time in total. 1) What are the origins of AMVNews and its purpose. There were several pre-conditions for the creation of AMVNews. By that time I had been interested in AMVs for quite a while, I was a programmer (mostly in C) and I had a friend dealing with web developement. He proposed me to host a site in case I had any good ideas (he hosted the first version of AMVNews). Besides I wanted to try myself in PHP and web developement. To make a website devoted to some hobby seemed like the most logical and interesting solution). At the time Akross was the only AMV community in Runet and is was mainly creator-oriented, devoted to contest videos of Russian authors. And I wanted to introduce Russian AMV-community to the world’s best examples of anime music videos. Even by that time A-M-V.org interface wasn’t too user friendly, especially for those with bad English. First version of AMVNews actually was a simple blog where I posted best AMVs from my collection, which by that time had grown rather large. I reposted everything in community of then-popular Russian site NNM.ru with cross-links to AMVNews. This is how I’ve got the first visitors. Afterwards visitors of Akross learned about the site and increased traffic, making AMVNews more popular. 2) While AKROSS is related to AMVNews, the last one is way more active than the first one. Why does this happens? Of course, before the creation of AMVnews I had used to be a regular visitor of Akross. AMVNews is several years younger. But Akross and AMVNews do not intersect in any way – neither in terms of administration, nor in terms of organisation. Totally different people run these sites. In my opinion there are several reasons for Akross’ decline. Irregular contests and other events, slow functionality update, usability problems. And, sad as it is, one of the problems is the arrival of AMVNews. But, generally, one of the strongest enemies for all standalone AMV sites has been, of course, the Youtube. 3) Who had the idea of organizing the main contests from AMVNews such as the Big Contest and Level Up? Big Contest was initially devised as a spring alternative for Akross Con. Spring and summer used to be a very quite time in terms of events, not covered by Akross. Initially I didn’t plan to hold any contests at AMVNews. The first contest was held one year after the site started to exist. Level Up idea came to me along with other ideas for thematic contests and seemed quite promising. I had been thinking it over and improving it for 2 or 3 weeks before I announced the contest. Everyone I shared the idea with liked it immediately. One contest was held and everything might had been over but I recieved quite a lot of private messages and emails from authors requesting another contest of this kind. Thus it was decided to make it annual. But I must say that not all contest ideas turn out to be that popular. There was one ambitious idea to join efforts of AMV creators and would-be musicians. Thus the idea of Fast Start 2010 contest was born. There was a trailer (http://www.youtube.com/watch?v=ClMRz679_ZM), I improved site functionality drastically and did everything possible to attract the musicians. 150 music track were gathered (http://amvnews.ru/index.php?go=Files&fi ... rt&in=show), some of these were very professional and even made way to my playlist. But this contest brought only 6 videos (http://amvnews.ru/index.php?go=Files&in=cat&id=30&st=7). All of those were really good but it’s hard to call this contest a success. 4) AMVNews has caught the attention of the international community so that at this moment is one of the most active communities, do you expect this tendency to continue? Generally yes, the number of foreign audience grows steadily while the level of Russian traffic has somewhat decreased. Also, although more comments in foreign languages appear, it is still noticeable that foreign visitors hesitate to comment. We have taken some steps considering the situation: English version of the site is improved constantly, all important news come both in Russian and English (thanks to Minstrel). Form for adding videos has been simplified significantly. A couple of English forums have been added. 5) When did you meet Minstrel? How has been the experience working with her? If I remember correctly, we started to communicate closely while working on additional content for PencilHead video (in particular on pencilhead.me website). We’ve met up with Minstrel and Qwaqa in real life several times. But it’s rather hard to meet offline since we’re living in different countries. I’m in Russia, Minstrel is in Ukraine. Later on I’ve invited Minstrel to help me manage the site since it has been a challenging and time-consuming venture. Actually I can’t say there has been much change. Russians have mostly been participating in Akross Con and Big Contest since the very beginnings of these contests. I’m not sure if there are Russian-speaking authors that intentionally choose or used to choose foreign contests instead of these two. 7) Do you plan to continue directing the News for the following years? Yes, as of now my plans remain unchanged. Although sometimes motivation fails me, especially in times when there are not many good videos around) But still new videos keep coming, the videos which stuck in my playlist and which I often re-watch. So the site will live as long as creators and audience are interested in it. 8) Cool You have met several editors from the past and even though you haven't shown a new clip you're now a veteran in the AMV World. What are your thoughts about the evolution of the AMV World? From the 00s until now? Many things have changed while I’ve been into AMVs. At the beginning there were videos made with simple software without effects and with 320x240 resolution. Today the standard of quality is at least 720p. Lots of videos with special effects started to appear after 2004. Today many authors, including novice ones, edit with more or less modern software. 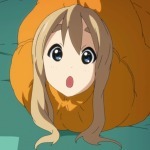 Videos used to be uploaded to animemusicvideos.org, now most authors prefer to use Youtube channels. I can feel that overall number of AMVs multiplied drastically but great epic videos became really scarce. The audience changed too, nowadays they’re much more demanding (at least at AMVNews). Many wonderful creators have came and gone while I’ve been into AMVs. I’m always sad when another one of my favorite creators drops AMVs. But AMVs are just like any other hobby, people overgrow it or simply get tired. That’s life. 9) What has been the impact of the AMVNews in AMV events in Russia? Example: the AMVShow. Mind if you could talk about it? AMV Show is a unique and spontaneous event, organized by fans for fans. First show was conducted almost accidentally, it just so happened that I knew a guy from Saint-Petersburg with an experience in organizing anime conventions. It was he who proposed to hold a large theatrical screening of AMVs. Many creators met and got acquanted at this event. In time organizers from other cities joined this endeavour. Show geography changed every year. We experimented with the show programming. There were AMV classics and original animation, large first-time premieres like PeniclHead and PaperHeart as well as a part of a popular Russian fun project Ru.Comix. Two years ago we held an AMV quiz: the audience were supposed to recognize an AMV by a small clip of the video. And last year there was an anime quiz. We did all we could to entertain the audience. In our best year there were 4 shows simultaneously, in 4 different cities. This year, however, there’s no enthusiasts to organize the show once again. 10) Any words for the audience? 1) When did you join the AMVNews and how has been the experience being an admin? I’ve been with AMVNews since the middle of 2007 and started as a translator. I became admin in 2012, and community had changed much by that time. So for me it was like to become a university lecturer right after graduation: the place was still the same but the folk I used to had fun with were gone. Being admin is somewhat nostalgic. On the other side it’s quite interesting to watch the hidden side of the community and be able to implement some ideas. 2) How did you meet the News? Searching for AMVs like most of us. I was a Naruto fan at that time so I googled something like “Naruto AMVs” and went straight to the News. Lurking through the forum I found this topic (http://amvnews.ru/forum/viewtopic.php?p=27834) created for the translation of Dana Springall’s thesis “Popular Music Meets Japanese Cartoons: A History on the Evolution of Anime Music Videos”. Since translations were (and still are) a huge obsession of mine I volunteered to help and this was how it started. 3) Everytime a translation from english to russian and the opposite is required, you are always there. Mind talking about the experience learning the english language? I’ve been in love with foreign languages and written translation since middle school so I took all I could from university language courses. Internet did the rest. Not much experience talking to native speakers though) I believe it’s rather noticeable. 4) ANVNews has been growing during the last years to become an important community for AMV editors. What are your thoughts about this? Growth is life so let it grow. I just hope that quality will be transformed into quality so we’ll see more awesome videos and other creative stuff due to this growth. 5) As with Turbo, Big Contest and Level Up are the main contests from the AMVNews, how has been the evolution of these contests. I guess there wasn’t much evolution for Big Contest – it was initially conceived as the main annual event for AMVNews community and it still retains this position. Changes were mostly technical, in particular there was a huge discussion concerning judging. How the jury must be chosen, can the participants disqualify the judges, etc. Different variants have been tried and critisized, leading to what we have now. Level Up evolved much more significantly. It started as one of many AMVNews experimental contests but gained popularity and became regular. The idea behind the first Level Up was to hold a contest centered more on novice authors and less on experienced authors so the latter could concentrate on participating in AKROSS Con. As the contest became regular, its schedule started to shift with less regard to AKROSS Con. Defining criteria for choosing Pros was a big issue at first. With time it changed, too – today whoever registeres as a Pro – participates as a Pro. 6) AMVNews has been involved with the AMVs in terms of magazines and events in the real life. When and how did this happen? And who are the main sponsors behind this? As far as I know AMVNews has been giving informational support to anime convents from the very beginning of its existence) It’s always good to have a diverse news around, not just new videos, so it’s not about sponsorship – it’s a mutual benefit. 7) If there any words you could say to the AMVNews what would it be? Keep going and inspire the generations to come. Hello everyone. 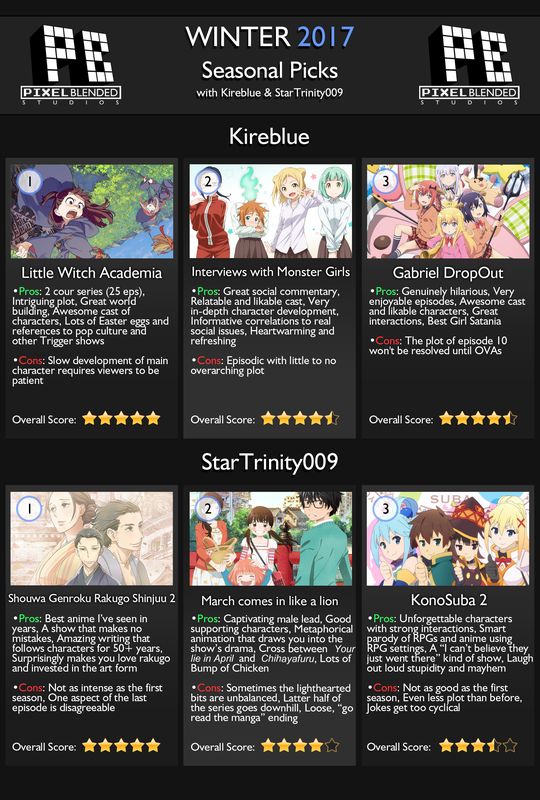 StarTrinity009 and I have decided to write our thoughts and opinions of our 3 favorite anime of the past season, and we would like to share them with you. So at the start of each new season, we will post our comments, and then update the title of this thread to keep them all in one place and to let you know when we release a new one. Feel free to discuss our picks in this thread and to make your own recommendations of shows that we may have missed. Before being contacted for this interview, had you realized that it’s been 10 years since you released Skittles? Yep. I actually had an inkling of finishing the “full version” that I never did get around to doing, but life happens and all. I had always meant to use the full song, with the rap solo portion that I cut out. It was supposed to have a 3d/cel animated Mikuru rap portion that never got completed. Although Skittles was not the first “candy style” AMV to be made, I always felt that it was one of the first ones to popularize the genre. Do you feel the same? Is there anything besides the “Candy Pop” music video that gave you inspiration for the effects in Skittles? Did you have any guidelines on what effects to use and what not to use? Aside from the actual video, I was basically inspired by Haruhi itself. I was quite enamored with the show and the whole ‘colorful’ view/aspect of it all. I really wanted to represent that with the video, and it all just came together beautifully. As for a guideline on effects, generally just have a theme so that it is all coherent. Experiment to see what to see what works best on what you’re trying to accomplish. Don’t just copy what others are doing - though if you do, make it your own by modifying how it’s applied. Have you met a lot of people who were introduced to AMVs through Skittles or your videos in general? If so, how did those encounters make you feel? Tons. I can’t even count how many people I’ve met, talked to, or befriended, not only due to that video, but due to the community and how long I’ve been part of it. My best friends have been a huge part of my life due to AMVs. As for the encounters, I was more surprised during the Euphoria day with the community being much smaller. By the time Skittles rolled around, I was more confident in getting to know people and never hesitated to reach out and just chat with folks, old or new. The AMV community definitely allowed me to grow somewhat more extrovertedly, and having generally widely-appealing videos did certainly help.
" meant to be a direct sequel of Skittles? Or was it just referencing it? It was a sequel of sorts, but obviously an entirely different take. I often use my bigger projects as a way to try something new to learn. It was supposedly just to be a standalone Baka Test video, but I wanted to use Haruhi/Skittles to somewhat bring about a new era, so to speak. Have you ever considered remaking or remastering any of your old amvs? I have, but generally decided against it as I’d rather work on something new when I was given the chance. Have you made any AMVs that you’ve never released? If so, why? A couple early videos, but mostly unfinished ones were the unreleased videos. I generally release anything I finish because if I made it through to the end of editing, then I generally feel it is worth releasing. What made you want to start editing again after taking so much time off? I never wanted to stop editing to be honest, and I still don’t. It’s always in the background for me, but time is often lacking when life and other hobbies get in the way. I have a huge backlog of videos I still want to make in the future. Do you have any future AMVs planned? Yep. Too many. I always say that I’ll hopefully make at least 2 every year. What do you think about how AMV editing has changed over the years? Are you a fan of the AMVs that are being made these days? I’m not saying I’m not a fan, but since AMVs are all very connected to the anime/shows that I’ve seen at the time, it’s harder for me to relate since I haven't been keeping up on newer anime in general. However, a good video is a good video regardless of when it was made. Where do you see AMVs heading in the future in terms of popularity, style-wise, the technology used, etc.? I generally think this is likely the peak of popularity, in which to say, it is always going to be a niche. In general, people “grow out” of AMVs and move into other hobbies, or in lesser cases, pursue something in video entertainment and would just look fondly at the days where AMVs was their world. Style-wise, I think it’ll likely continue to mimic trends in both the music video and movie industries as it currently is doing, but on a smaller scale. The technology just makes it more easily more accessible to creating them - but really who knows where it’s going to lead. First, thanks for the quick interview! Always cool to connect back with my past. I could go on and on about AMVs, philosophies, history, the community, etc… So I’ll just say this.. Always make what you want to see in AMVs. It may not always turn out as good as you hoped, or be the most popular thing, but as long as you enjoyed making it or the end result, then that’s really all that matters. Still to this day, I can watch a lot of my not-as-popular videos because I truly connected and enjoyed with what I had made. Ever feel that avisynth, virturaldub and Zarx264gui are too complicated? l33tmeatwad just designed a easy solution for all your converting needs! l33tmeatwad wrote: Any testing and feedback that I can get would be very helpful! Available on Linux, OSX, and Windows. Automatically chooses the color matrix based on the existing file or guesses based on resolution. Easy button for setting up file(s) to be recontainered. Shows bit depth of the currently selected video stream. Supports encoding of AviSynth (Windows Only) & VapourSynth scripts. Supports encoding to various lossless and lossy formats, including but not limited to x264 & x265. On Linux and OSX it looks for FFMPEG in the same folder that AMVtool is in, then additionally in /usr/bin and /usr/local/bin. On Windows it looks for VSPIPE in the same folder, however in Linux and OSX it looks for it in /usr/local/bin. -When using AudioDub in AviSynth, if the output audio codec is AAC it may fail unless the audio is padded (add trim(0,0,pad=true) after AudioDub). -When attempting to copy the audio, if "Encode Incompatible" is checked it will encode the audio anyways (Working on a fix!). -When encoding M2TS sources with TrueHD audio it will encode both TrueHD and the regular AC-3 stream (Working on a fix!). -Added AviSynth support (Windows Only). -Added dependency checks and error handling. -Cleanup and optimization of code. -Added drag & drop support. -Minor changes to the layout and bugfixes. -Added support for Linux and Windows. -Fixed bug where it would not look for the output file if not in the same directory as the source. -Fixed issue where codec for audio when recontainering was not always compatible with the output container.